This book explores the idea that we have two minds. In recent years there has been great interest in so-called dual-process theories of reasoning and rationality. According to dual-process theories, there are two distinct systems underlying human reasoning — an evolutionarily old system that is associative, automatic, unconscious, parallel, and fast, and a more recent, distinctively human system that is rule-based, controlled, conscious, serial, and slow. Within the former, processes are held to be innate and to use heuristics that evolved to solve specific adaptive problems. In the latter, processes are taken to be learned, flexible, and responsive to rational norms. Despite the attention these theories are attracting, there is still poor communication between dual-process theorists themselves, and the substantial bodies of work on dual processes in cognitive psychology and social psychology remain isolated from each other. This book brings together leading researchers on dual processes to summarize the state of the art, highlight key issues, present different perspectives, explore implications, and provide a stimulus to further work. 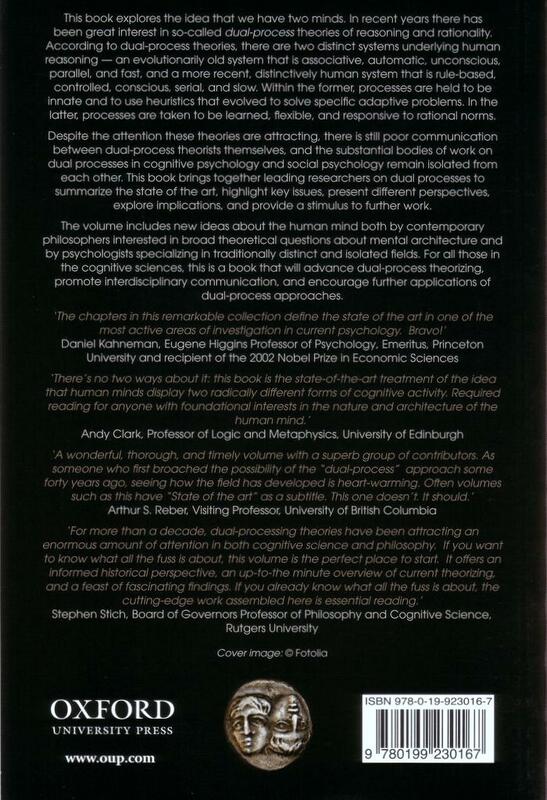 The volume includes new ideas about the human mind both by contemporary philosophers interested in broad theoretical questions about mental architecture and by psychologists specializing in traditionally distinct and isolated fields. For all those in the cognitive sciences, this is a book that will advance dual-process theorizing, promote interdisciplinary communication, and encourage further applications of dual-process approaches. 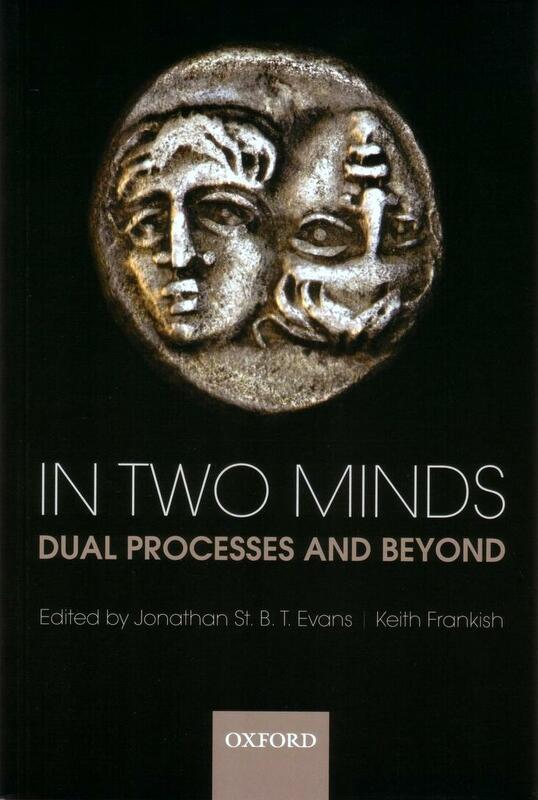 2: Jonathan St B T Evans: How many dual process theories do we need: one, two or many? 3: Keith E Stanovich: Distinguishing the reflective, algorithmic, and autonomous minds: is it time for a tri-process theory? 14: Clare Saunders & David Over: In two minds about rationality? The first chapter of the book, ‘The duality of mind: An historical perspective’, is freely available online in pdf format. — Konrad Talmont-Kaminski, Marie Curie-Sklodowska University. In Philosophy in Review Vol.30 (2010) No.5. Read the full review.